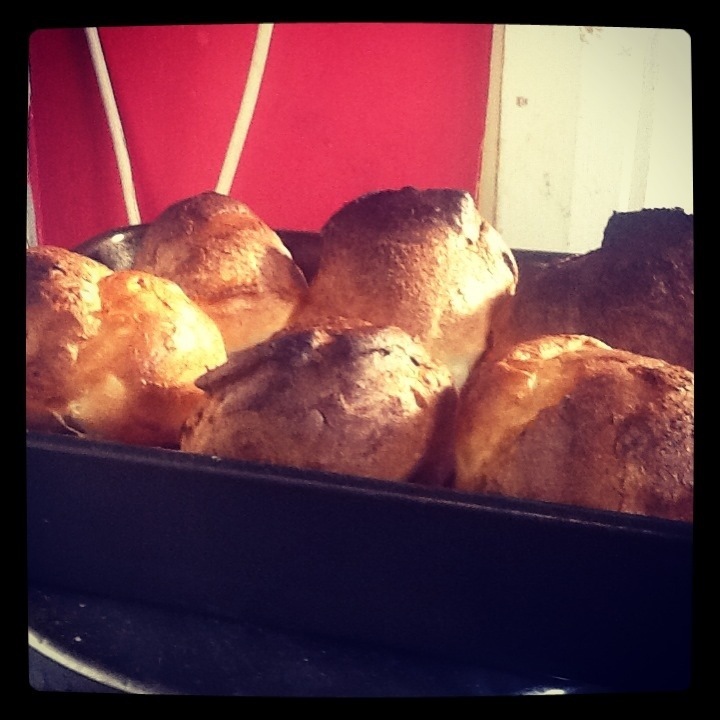 Jamie Oliver saved me from crap Yorkies several years ago. Before I was under the misapprehension that Yorkie mix was the same as pancake mix but I was soooo wrong. This always left me with flat doughy, puddings that were frankly an embarrasment. Jamie’s recipe is so simple and honestly works for me every time. When ready Pour the mix into your prepared hot oil tins and bake hot and fast for 30 mins and DON’T OPEN THE OVEN FOR AT LEAST 20 Mins.